Stainless Steel Wine Barrels & Cooperage designed by Skolnik Industries meet the special needs of wine makers in all stages of development, fermentation, maturation and storage of fine wine. Skolnik has a long and proud tradition of providing leading wine makers with stainless steel wine barrels of high quality, durability and design. 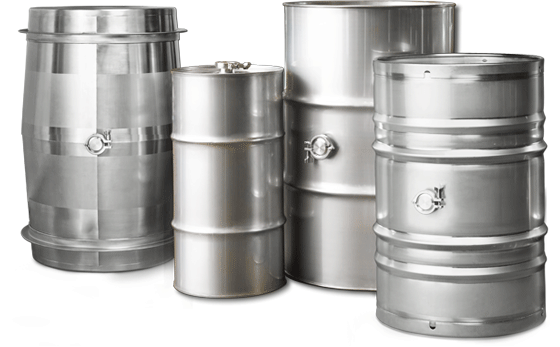 As the market leader in Stainless Steel Wine Barrels, Skolnik Industries manufactures 50 different styles in 9 different capacity options including: 5 gallon up to 124 gallon stainless steel wine barrels, bilge style wine barrels, and crevice-free stainless steel wine barrels in 25, 55, and 80 gallon sizes.